Our process is client driven, allowing our expert portfolio managers to provide you with the advice and asset management skills needed to make the most of your investments. We begin our engagement by identifying your financial needs and objectives. 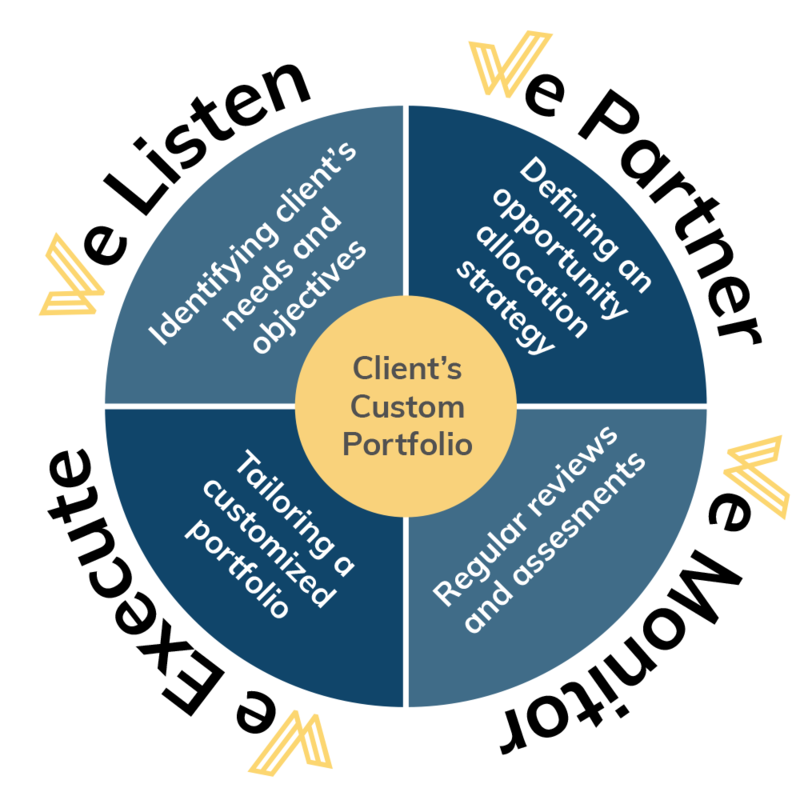 We then determine an appropriate allocation strategy and create you a customized portfolio. It is our job to look at opportunities created in public markets and build portfolios consistent with your needs for liquidity, your comfort level for risk, as well as other considerations. Ongoing reviews and assessments are necessary to ensure your investment strategies remain consistent with your individual needs and objectives.